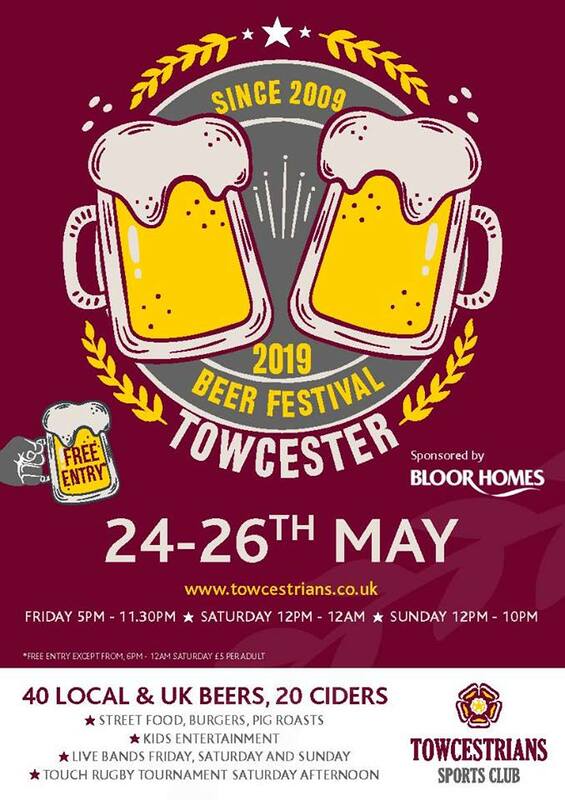 It’s back our great and now famous beer Festival, celebrating our 10th year, and this year it will be our biggest and best yet, with over 40 real ales from around the country and 20+ ciders. We are proud to announce Bloor Homes who are building some fantastic new homes in this area as our main sponsor! Hog roast and BBQ on Friday night and loads of other food throughout the weekend including Pizza, fish & chips, Indian Cuisine from Saf’s, Duck n bite and lots more. Lots for the kids to do to, with huge bouncy castle, fun stalls, demonstrations of Women’s Self Defence and Karate from the Dentokan club, Morris Dancing and loads more. Even some rugby to be involved in and cheer on! What a fantastic music line up we have for you this year!! So leave the dates free and come and enjoy one of the best weekends of the year!